Born and raised in the mountains of Idaho. I have always loved stories, almost as much as I love art. Splitting my two loves I work as an illustrator and a writer. Occasionally managing to do both while working on comics and graphic novels. To be honest I can’t remember a time I haven’t been writing or working on stories in some form. I have many pleasant memories of spending hours working in the woods while figuring out the back stories of my characters. 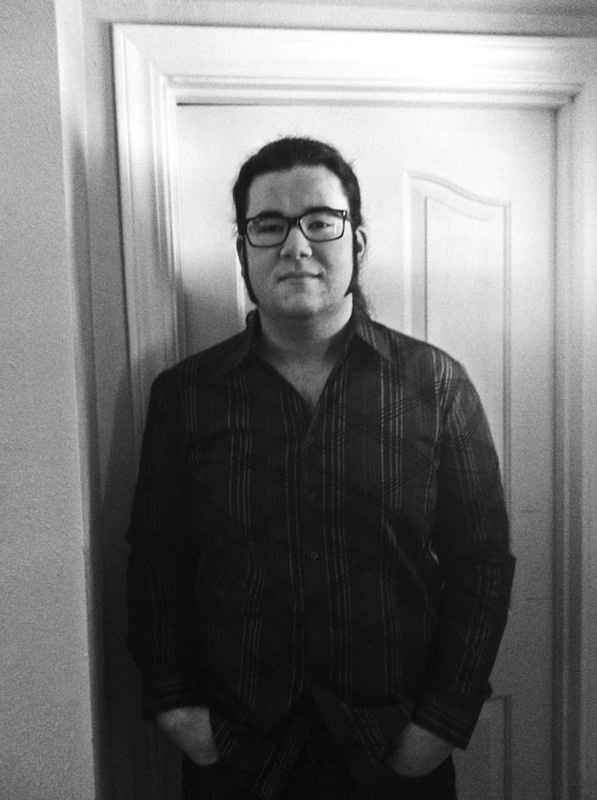 I started writing because I love the feeling of telling a story someone has never heard before. It is truly satisfying when someone reacts to something you created. That is a hard question. I truly love the writing of so many authors, that it is hard to narrow it down to one. Trying to narrow it down, two writers come to mind. In the realm of literature I would have to say Robert Jordan. His writing verges on poetry and his worlds are so well thought out they feel real and lived in. In the realm of film and television I have to say Joss Whedon. I love his work. He is a true master of blending drama and comedy, and his dialogue feels like real conversation. I want my stories to makes someone feel something. The true test of great writing is, in my mind, the ability to make an audience care about the characters and to feel true emotions for them. I want my writing to make my readers feel something, joy at a characters triumph, fear for their safety. I went into self-publishing due to the fact I want to have control over my work and what happens to it. Self-publishing is the best way to make sure that happens. I honestly began writing without much in the way of plans for what I would do with the results. After spending so much time on my stories, though, I wanted to do something with them. I ended up self-publishing through KDP and Creatspace. I have one published book, Darkened Knight. It is the story of an archeological expedition to a distant planet and waking the ancient evil that was imprisoned there. It is set in the future after Mars has been colonized by humans. The easiest way to describe it is The Mummy meets Aliens. I also have two more stories which will hopefully become available within the next year. The first is a graphic novel which I have been working on for several years. The title is Wanderer and Poet, it is a tale about moving past old battles and redeeming past sins, and more importantly it’s about two werewolves fighting a crazed wizard. The other story is untitled at the moment it is a Sci-Fi fantasy story. It is a mix of epic adventure and space opera, I won’t say too much about it yet but I am very excited about this story. I was inspired to write the books for different reasons. Blackened Knight actually came out of a painting I was working on. I had an image in my mind of a man who was injured and had to have cybernetic prosthetics grafted onto his body. I became curious about his story, what happened to him, who is he. Out of that came Daniel Black and Blackened Knight. Wanderer and Poet is a story I have been working on in various incarnations for over ten years. The actual story has changed a bit over that time, but the two protagonists have been with me for a long time. It has been really satisfying to finally tell their tale.Wanderer and Poet will be released online for free in a few months. Links to the comics’ home page will be up on my website when it is available. Many of my stories are Sci-Fi and Fantasy. I choose to write in these because of the possibilities it gives. I like the ability it gives to create a new world, a new outlook. Also spaceships are cool. Good question. I don’t know that my characters are easy to love, but they aren’t all that easy to hate either. Daniel Black, the protagonist of Blackened Knight, is a man who has lost a lot in his life. He is a criminal, and he is on the run. The story is about him facing his past. Bottom line my characters are, fighters. And there’s something to be said for fighters. I think people will like my characters because they don’t give up. Now that is a hard question. I can’t say I have an exact playlist for my stories but I do know what the music would sound like. Blackened Knight would be black 47 and Flogging Molly until they get to the planet, after that it would most likely be Within Temptation. Wanderer and Poet would be a mixture of ballads and traditional Irish music. Thank you so much Quinn for taking the time out to spend with us! 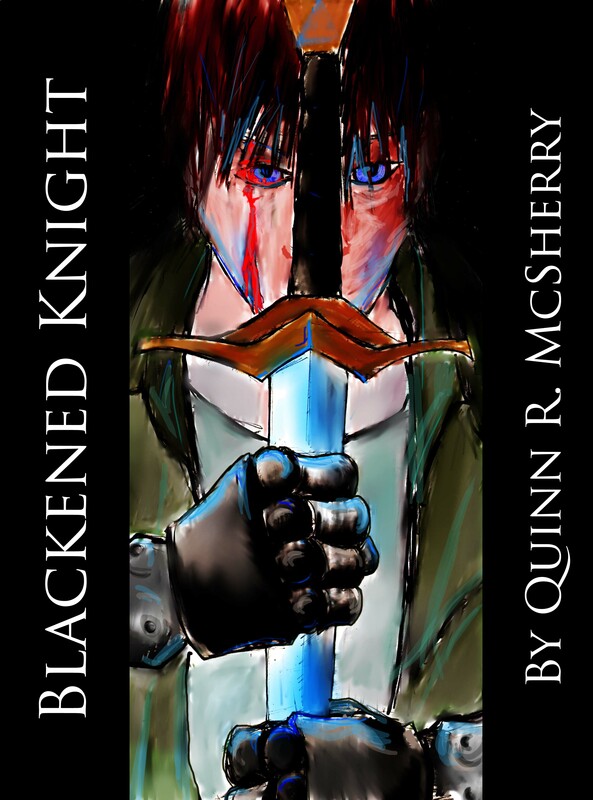 You can follow Quinn on his website and you can pick up your copy of his book Blackened Knight on Amazon!